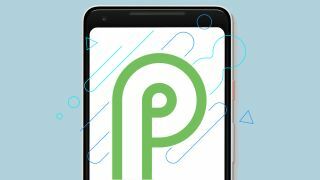 Currently in beta, the official launch of Android P has been on the approach for a while now, but according to trusted leaker Evan Blass, we might not be waiting for much longer. In a Twitter post that could hardly be considered subtle, Blass tweeted an image of an August 2018 calendar where the August 20 box is marked with a green P.
Given the leaker's track-record with smartphone-related reveals, we have to assume that Blass has inside information regarding the release date of Google's highly anticipated Android P mobile OS — that, or he's about to go for his second provisional driving licence in Australia. Among the many features that Android P is said to boast, including built-in notch support, a battery-saving dark mode and the return of the 'Clear All' button (which was curiously absent from the upcoming mobile operating system's beta), it also promises to be the most secure version of Android yet. We also have to assume that Google will reveal Android P's official confectionery-themed name — Android Pistachio is the current favorite, based on one Huawei employee's momentary slip-up during a live chat with a customer. If Blass' tweet proves accurate, we'll get to the bottom of this information (and more) on August 20, 2018.